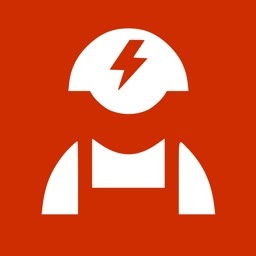 eTools is a powerful virtual toolbox which combines a lot of useful reference materials with electronics tools (calculations, conversations, coding/decoding, etc) in one application in your iOS family devices. Professional or hobbyst can easy recive most of necessary informations or calculation results at some simple finger touches. 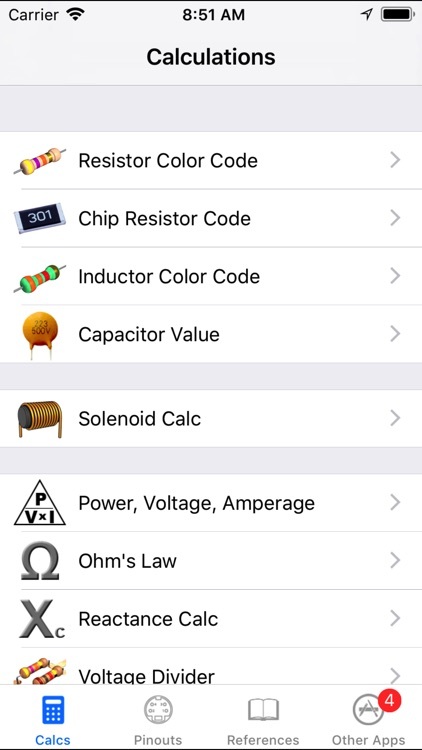 Chip-resistors (smd) decoding (3 digits, 4 digits, EIA-96). Reactance (XC for capacitance and XL for inductance). 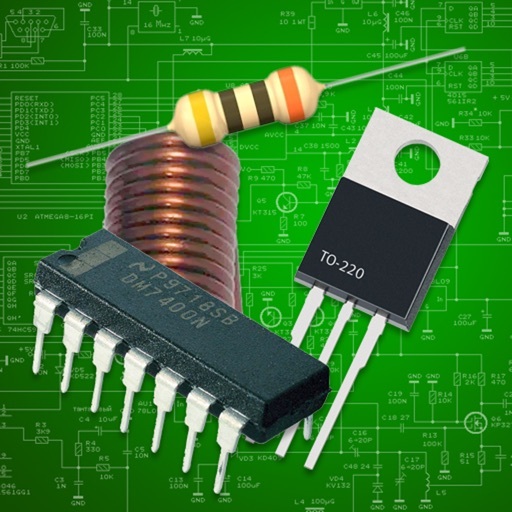 Resistors voltage divider, ideal and with load. 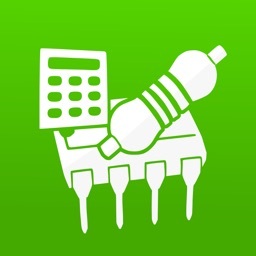 Variable resistor emulation. ("E24 rounded" integrated). Parallel resistors ("E24 rounded" integrated). 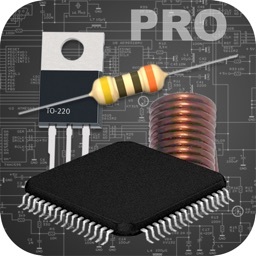 Resistor for LED(s) (with most popular presets). 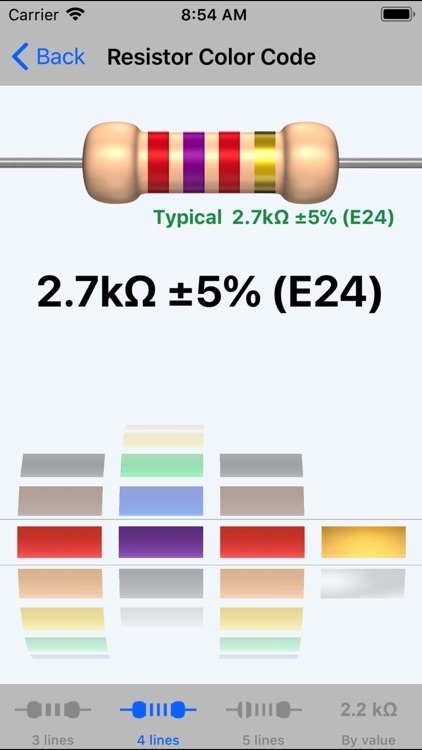 Operational amplifiers: non-inverted and inverted ("E24 rounded" integrated). Compute LM317 voltage mode (with variable resistor emulator ("E24 rounded" integrated) & current mode. USB 1.x/2.0 & USB 3.0 pinouts and specifications. RS232 (DB9 & DB25 & IDC10). Parallel (LPT port) / Centronics. Ethernet (RJ-45) direct & crossover connections. ATX-power (20/24-pins) & auxilary connectors. 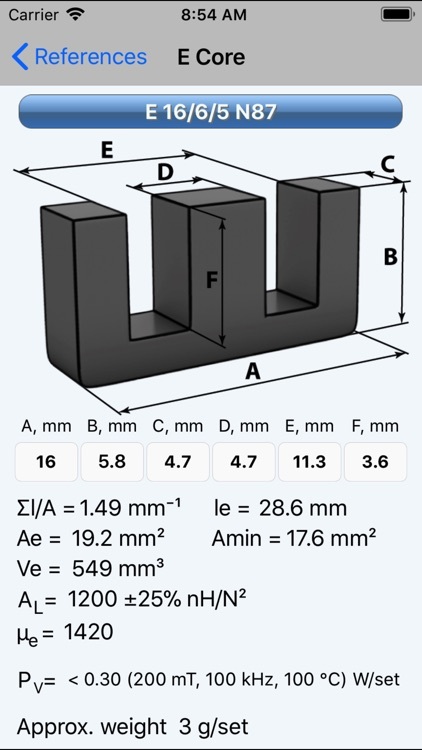 VGA (standart & VESA modes). RCA (with typical color marking). Professional Jack (6.3mm) & MiniJack (3.5mm) - 2, 3, 4 poles. 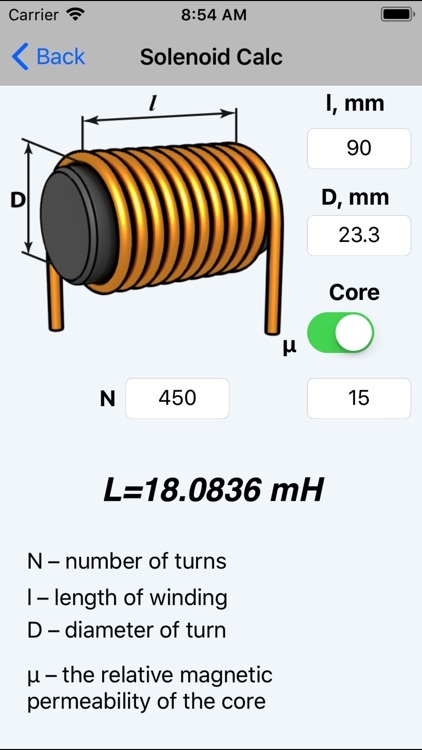 Maximum current for copper assembly wires. 7400 family (while only a list of family with functions and decoding). 78xx/79xx family (basic data, scheme, packages). 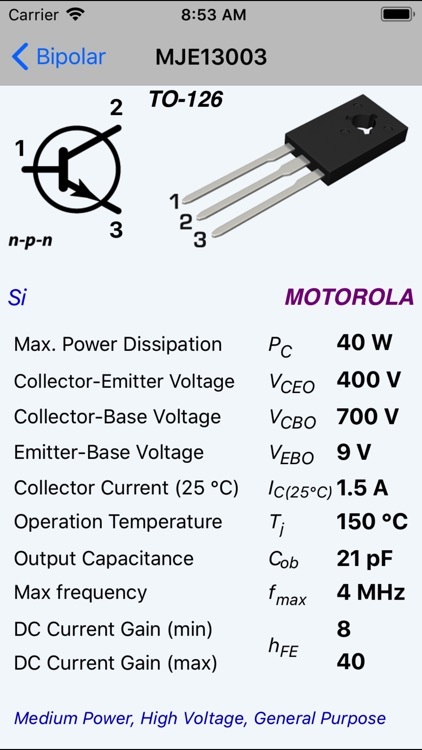 Bipolar transistors (nearly 50000 pcs) catalog & select. FETS (JFET & MOSFET) (nearly 5000 pcs) catalog & select. IGBT transistors (nearly 1000 pcs) catalog & select.